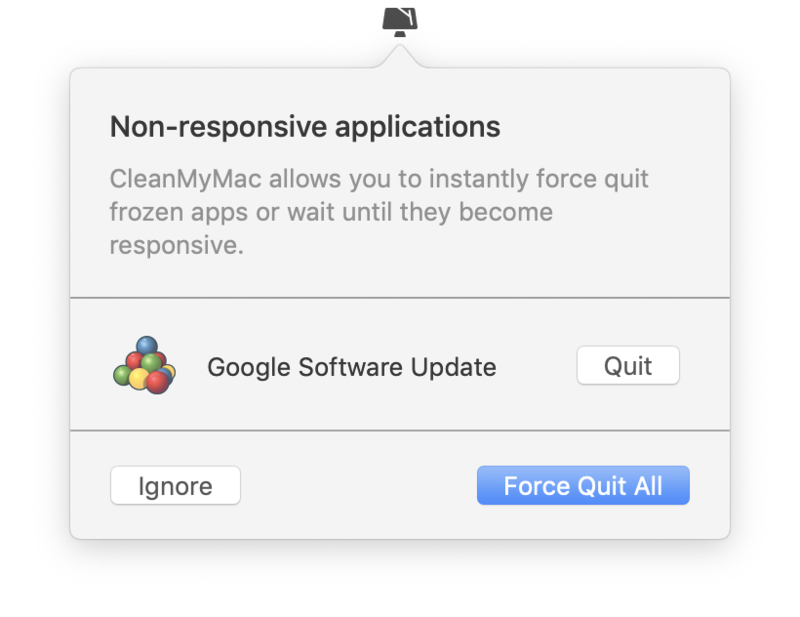 For the last few days it's appeared that Google Software Update shows up in Clean My Mac as "unresponsive", then goes away. I tried deleting all of the google keystone launch agents, but it doesn't seem to help. Chrome is up to date. Anyone know how to resolve? It's a minor irritation, but I can't seem to make the little bugger go away. Here it is. It was difficult to capture because it is quickly dismissed after it shows up. I'm seeing the identical behavior for the same amount of time. If anyone knows about this to fix this, it would be great.